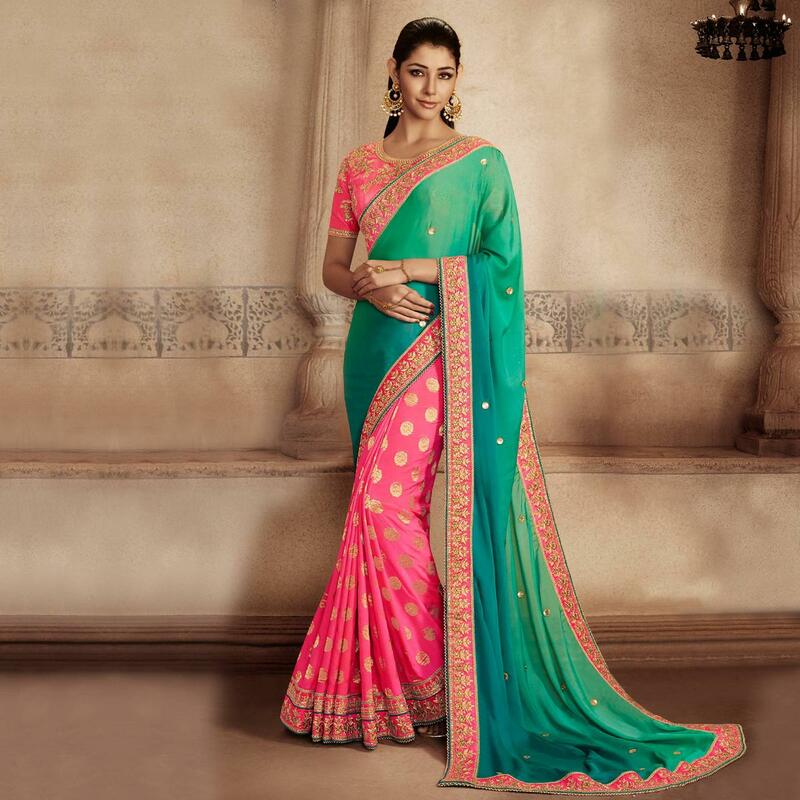 Enhance your charm with this half & half saree in rani pink and shaded green color. This designer saree features shaded green color crush fabric pallu enriched with embroidery work border and rani pink color zari jacquard fabric having embroidered work border. Accompanied with pink dhupian blouse piece worked with zari embroidery work. Perfect for weddings receptions and special occasions.